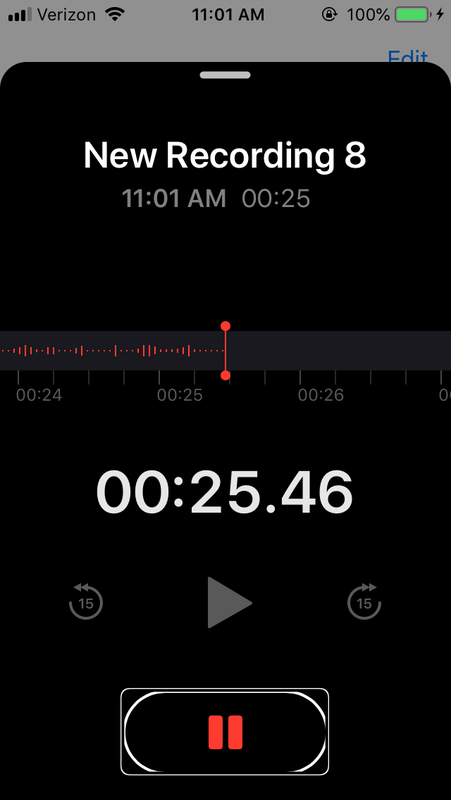 If you are using the voice recorder in iPhone frequently than in the recent iOS 12 release of iOS you might be looking for a way to pause and resume an audio voice recording session . 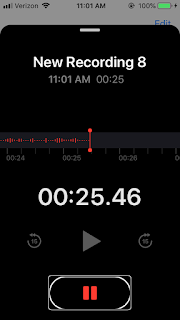 There are many instances when you will be looking for a way to stop or pause a recording and start it later to resume the same recording session. If you don’t know how to pause the same audio clip and resume again, you will end up in recording many audio clips instead of one. Which will also difficult to manage. 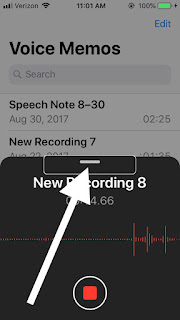 The voice recording works same on all the iPhones including iPhone XR, iphone XS/8/7 and in this article we will show you how to voice record in iPhone with multiple pause in a single audio file. Step 1: When you start a recording, a half screen recording overlay will appear. Pull the overlay up to access the additional controls. Please refer to below picture. 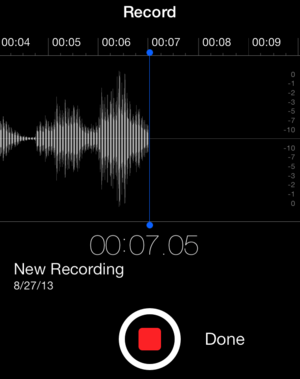 Step 3: Tap on pause icon the pause voice recording and play from same place to resume the voice recording in iPhone. I hope by this way you are not able to pause voice recording and resume it multiple times. Please let us know in comment section.